However, winding up into the mountains meant that when we arrived it was cold! Not really having had a winter this year, spending our time in SE Asia and then Bangladesh, it was quite a shock to the system to dig out our jumpers, jackets and even scarf and gloves! So having dropped our bag off at the friendly hostel and wrapped up as warm as we could, we set out to explore the town. Don’t feel too sorry for us, although it was close to zero during the night, the afternoon temperature was about 15 degrees so we were never likely to get hypothermia. 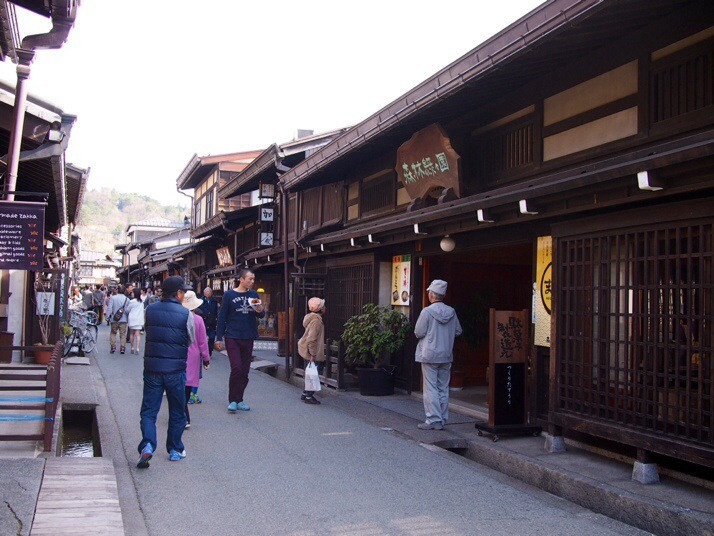 Takayama is a small city and has a particularly well preserved historic district with narrow streets lined with picturesque traditional-style wooden houses. Perhaps unfortunately, like many similar small picturesque towns (Tallinn’s centre, Pingyao and Hoi An spring to mind) it is somewhat swamped with busloads of tourists which means that many of the old buildings are now home to restaurants, shops and small museums all aimed at visitors. 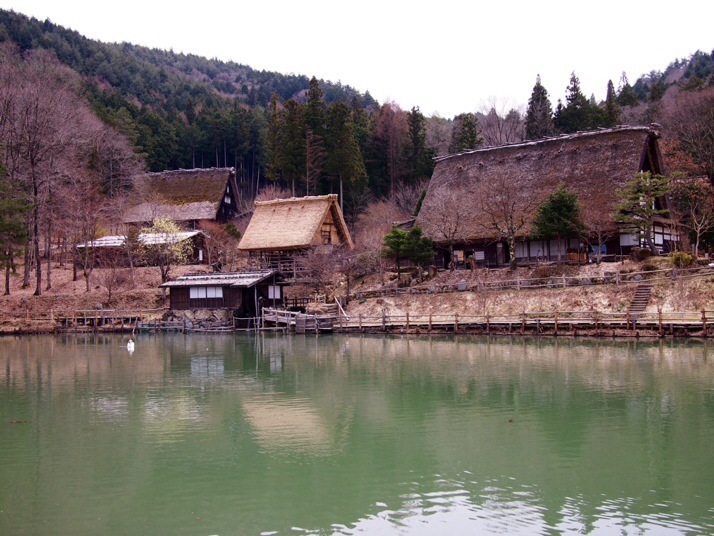 There are also more sake breweries than I would imagine an average small town could support. These can be identified by the large brown cedar balls, called Sugidama, hanging outside. 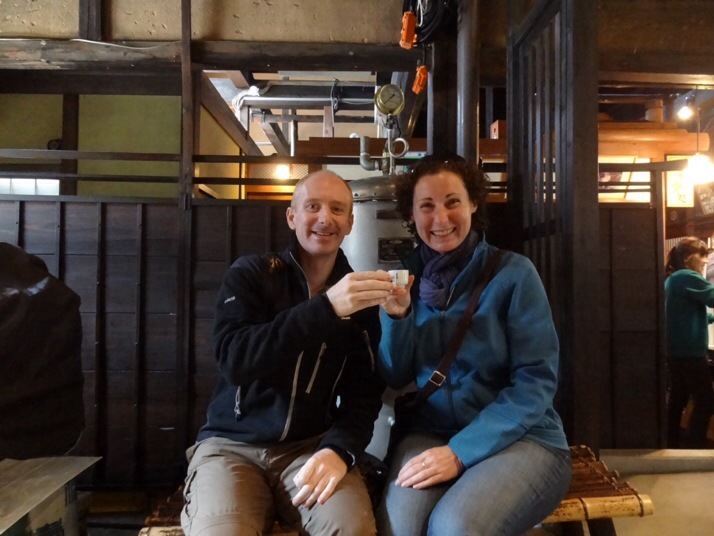 We went inside one for a look and were pleased to discover that we could pay ¥100 (£0.60) for a sake cup which included a free taster of our choice. Even better, there didn’t seem to be anyone policing the tasting bottles. We watched several Japanese visitors work their way along a whole row of bottles before we made our way back to the front of the queue for another couple of glasses each. One looked milky in colour and perhaps because of that it reminded us of airag, the fermented mare’s milk drink that we tried in Mongolia. 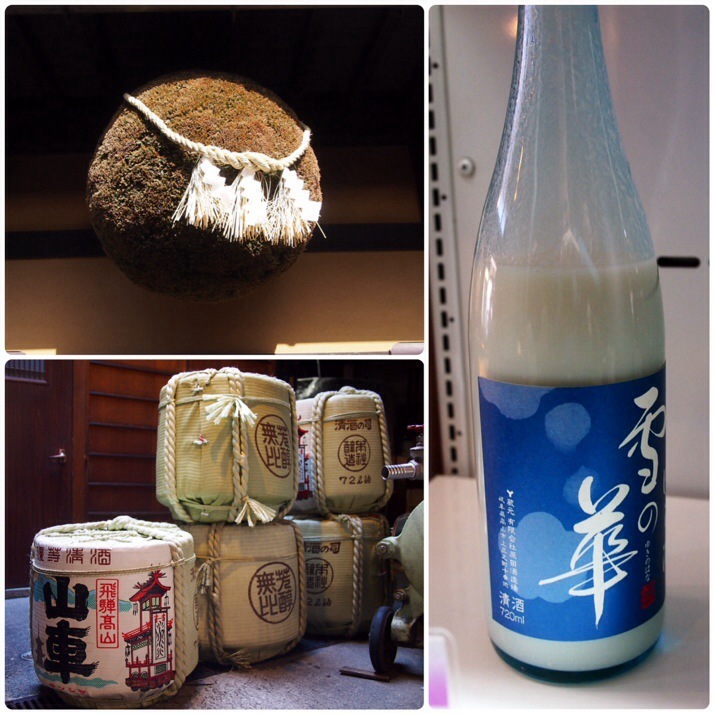 We later learned that this is just an unfiltered version of the rice wine and doesn’t actually contain any dairy products. We finished the afternoon by escaping the crowds in the Shiroyama-koen park on the hilltop which contains the ruins of Takayama Castle. 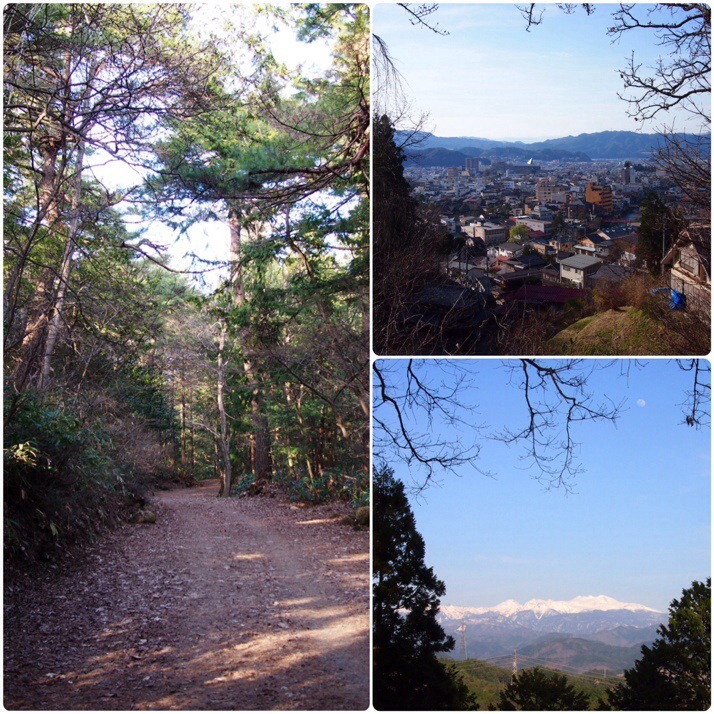 The ruins were unimpressive but the views over the town and towards the snow capped peaks in the other direction were nice and the path through the forest was lovely. 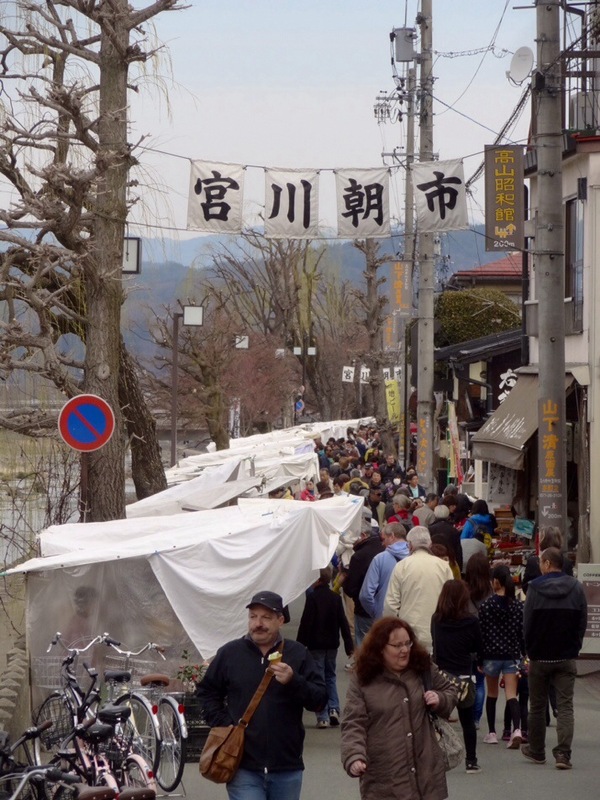 Our first stop the next morning was at the Miyagawa Morning Market. This runs every day and is more of a tourist market than a local one, but there were some nice stalls with traditional foods as well as crafts. 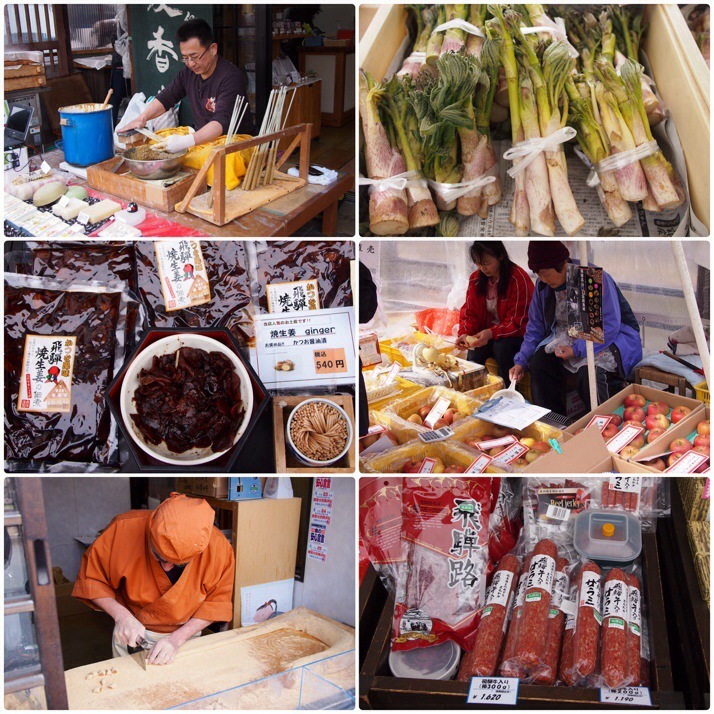 We tried some tasters of pickled vegetables, bought Fuji apples from an apple farmer (it never occured to me that the Fuji variety came from Japan, but of course it is named after the famous mountain) and perhaps most memorably bought an Owara Tamaten each. 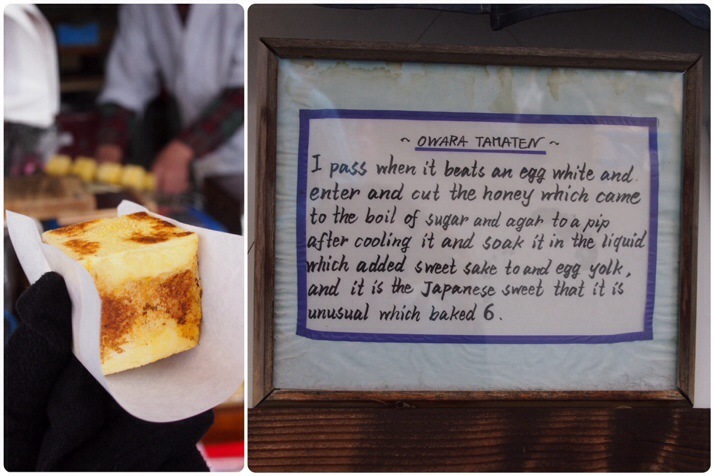 This was like a toasted homemade marshmallow – definitely not a bad thing although it took a couple of read throughs of its description in Japanese English and a bite before we figured it out! 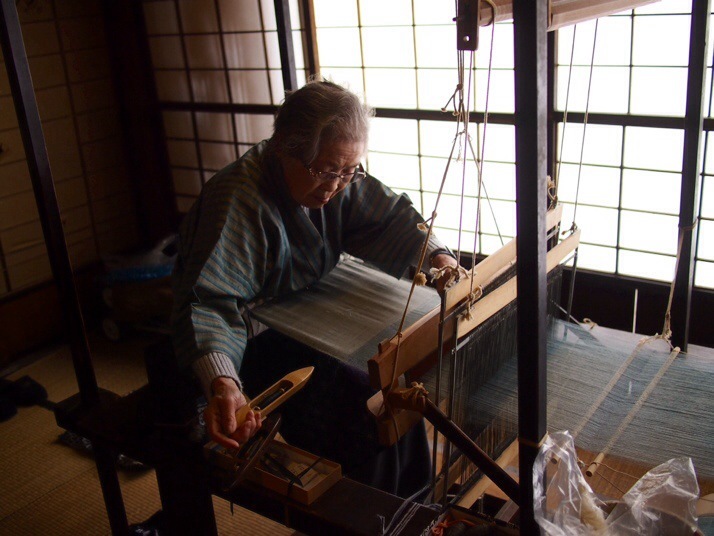 Apart from its historic streets, there are a few things that Takayama is famous for. 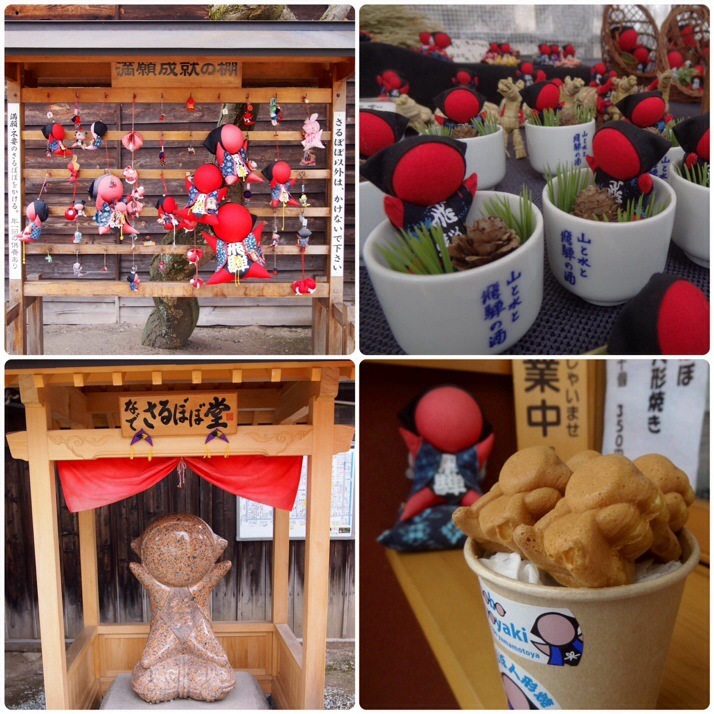 First, the floats displayed in the twice yearly town festival (more on those in another post), next the fine beef produced in and named after the area, Hida, and finally the sarubobo, a faceless toy given to grandchildren as dolls and to daughters as a charm for a good marriage. Plenty of the crafts at the morning market and in the souvenir shops featured the sarubobo but we spotted them elsewhere around town as well. 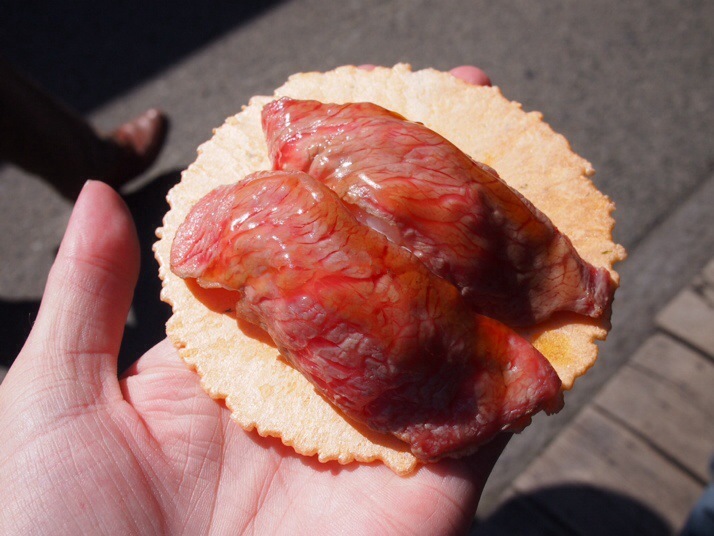 And we tried the meltingly tender Hida beef twice – on our first day topping a bowl of noodle soup and also as sushi – yum! 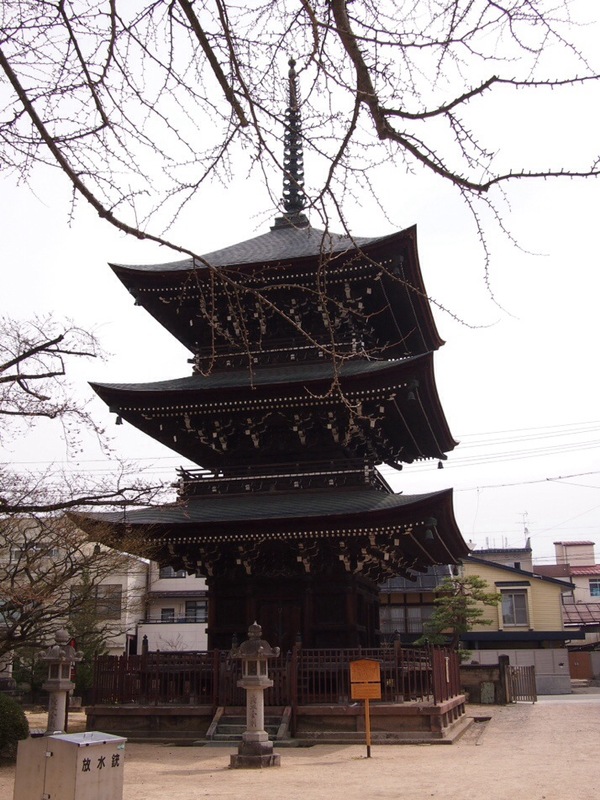 After a quick stop at Hida Kokubunji Temple to admire its pagoda and the huge gingko tree which is said to be over 1200 years old, we walked 30 minutes to the south-west of the town to the Hida Folk Village. Regular readers will note that we’re quite partial to outdoor museums of architecture having visited examples in Riga, Suzdal, Ulan Ude, and Hanoi and this was no exception. 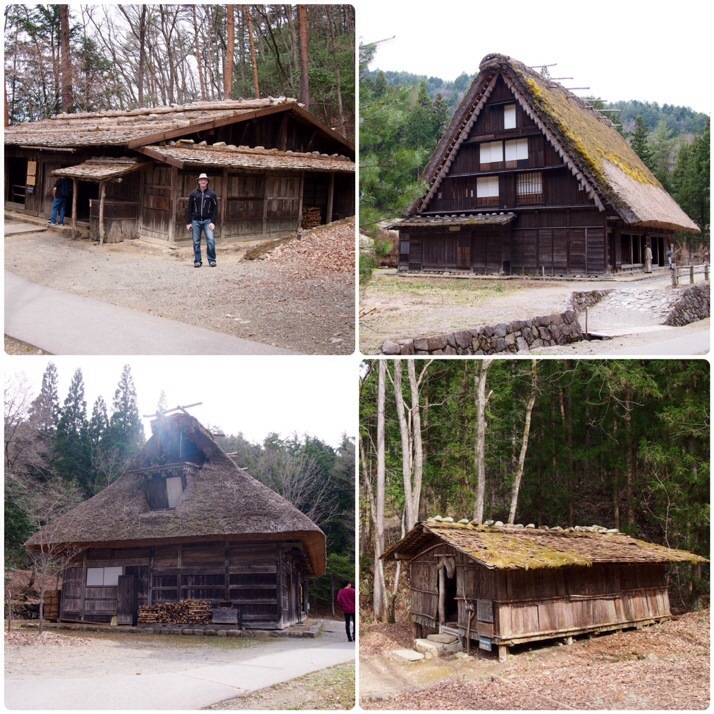 Located on a hillside above Takayama it has 30 examples of traditional wooden houses from locations around the prefecture of Hida situated between trees and surrounding a small pond. 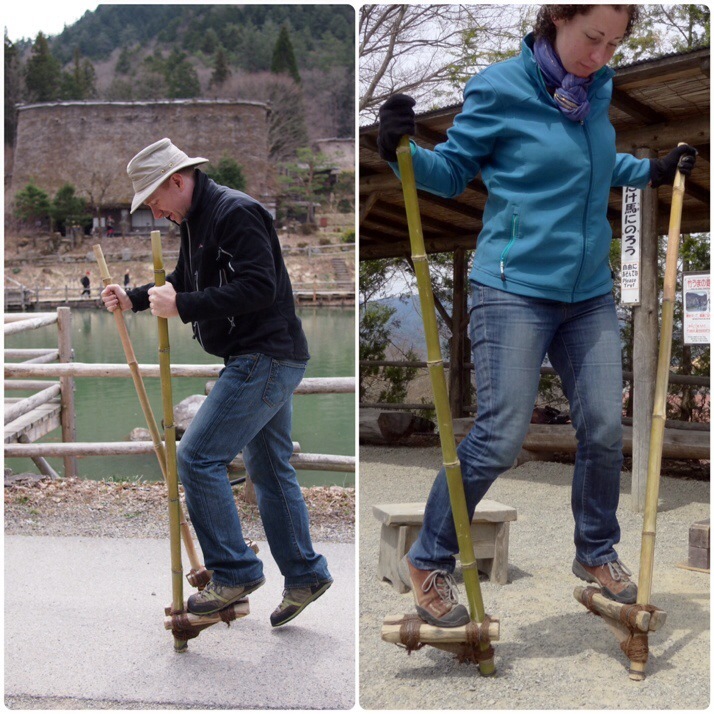 There were also craftspeople in some of the buildings demonstrating traditional skills (weaving on a hand loom, wood carving, wooden lattice creation) and a few activities for visitors to try including, bizarrely, stilt walking which it is safe to say we didn’t quite get the hang of. 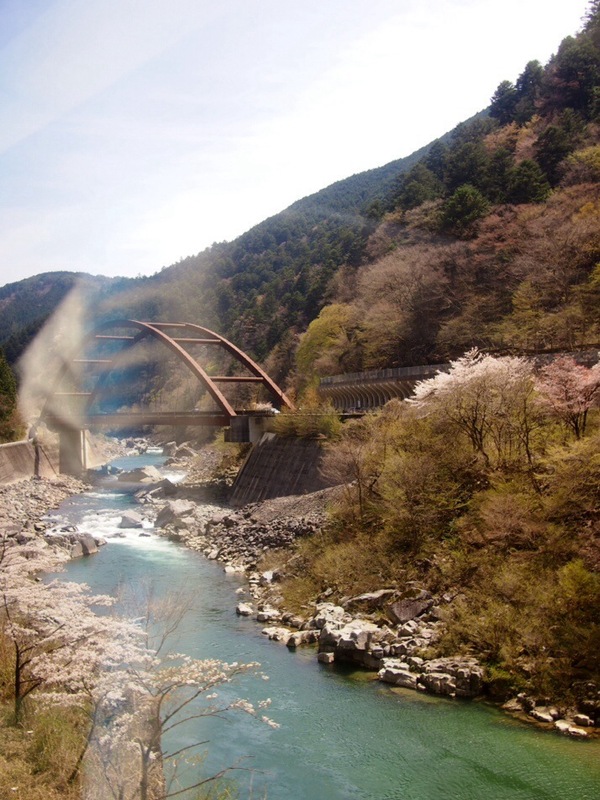 This entry was posted in Places and tagged Japan, Takayama on May 15, 2014 by Julie. I love that you found 15 degrees cold. Bless. It looks lovely. Definitely reminiscent of Hoi An. Hey! We’re used to 25 degrees plus now. To be honest, it was when the sun went down and the temperature got closer to freezing that we really started to feel it. What is 13 + 27 ?